← Capcom Resident Evil Oops! 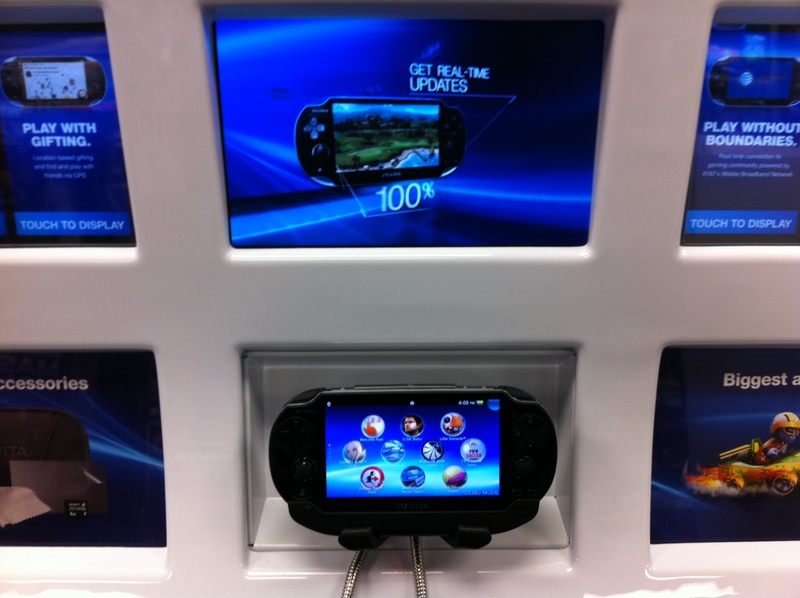 So the Vita is almost available for retail consumption. I think this is a device that the consumer population does not need. Am I going to get one? Absolutely, but it’s not necessary. Think of all the other devices out there already that do more than what the Vita does. The only thing the Vita has going for it is that it’s a dedicated portable gaming system. But let’s break this down a bit more. Portable? Maybe in the sense that it doesn’t have to be plugged into the TV, but it’s hardly something you could fit in your pocket. Although, the 5 inch OLED screen is the most beautiful thing these eyes have ever seen – it actually makes me feel like my vision has gotten better. But still, the system is just too big. Like Sega Game Gear big, but skinnier. It’s basically a small iPad or a large iPod touch, either of which serve as a multipurpose device to a much greater degree. It does however answer my main complaints about those devices. I always felt that gaming on apple products and tablets was a waste of time. The games available for it are largely casual and can never really be considered viable for the core gamer audience. In addition, the lack of button or a control pad of any kind hinders gameplay. The onscreen control pads are awful. I don’t know about you, but I don’t need my large, obtrusive thumbs getting in the way of the action. And without the direct tactile sense of control, they never are as response as an analog stick. Sony has thrown in a few goodies with the $299.99 3g version, most likely due to the poor reception of the system in Japan. An 8gb memory card and a free game download will be bundled in now, making my earlier prediction on the US getting a price drop on the system shortly after launch seem less likely. I still believe it’s a waste to get the system at launch. I’m surprised at myself that I’m not giving in to my usual, “I WANT THAT!” impulse when it comes to a new console. The last time I’ve cared so little for a system launch was when the Atari Jaguar came out. But I would never insult the Vita to compare it to the Jaguar that way… even though I kind of just did. Posted on February 8, 2012, in Not Reviews and tagged golden abyss, OLED, psp, psvita, sony, uncharted, vita, vita launch. Bookmark the permalink. 4 Comments. the Federal Trade Fee (FTC).